It’s a little known fact that before Spalding published Life and Teachings as a book in 1924, it was published in periodical form in 1922 by a San Francisco based New Thought group called Comforter League of Light. I managed to find a single copy of the Comforter magazine from 1922 and there is a chapter of Life and Teachings included, and it refers to Spalding as a member of the group. I have also researched the founder of the group Florence Gloria Crawford who wrote several books, and spoke frequently in San Francisco during this time according to newspaper archives. Unfortunately I have been unable to locate any other copies of The Comforter from those years, which would be very interesting in terms of comparing how Spalding’s manuscript changed over time. If anyone does find copies of The Comforter or other information about this group, please contact me! I’ve added an automatic translator to the Baird T Spalding blog for our international visitors. Click on the ‘Translate’ button above and select the desired language to see an automated Google translation of each post. Please let me know if you would like any other languages or if you have any problems with it. My Spalding research continues, albeit slowly, and I plan to have new postings soon. I also have a number of new photographs received from Spalding’s family which I hope to post shortly. Thank you for your continued comments, encouragement and patience. I’ve received a large number of emails from readers with questions about Spalding, often relating to the 1894 research expedition to India featured in Life and Teaching Volume 1. Now the blog has grown larger, answers are not easy to find and some are buried in the comments. To assist new visitors I’ve added a Frequently Asked Questions page that addresses most of the information published here to date. Please let me know if you have suggestions for the Baird T Spalding FAQ. Previous articles on Baird T Spalding’s date of birth have shed light on some of the many stories surrounding him. Now that his place and date of birth are established, it is possible to examine other claims made for Spalding. One of the most interesting areas of research is the different names he assumed over the years, and the claims made for his ancestry. 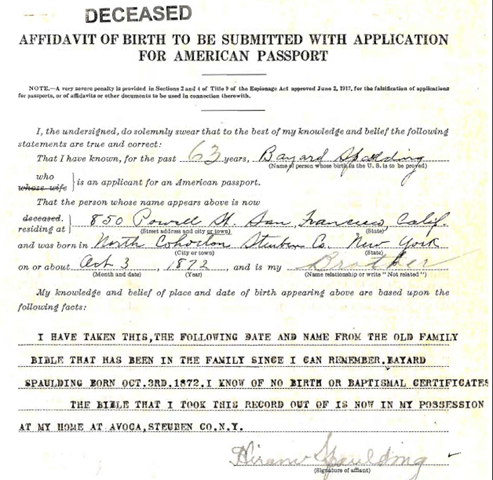 The Department of State recently released Spalding’s 1935 passport application and an affidavit of birth signed by his brother. As discussed in my earlier blog post on Spalding’s biography, Baird was an American, born Oct 3rd 1872 in Cohocton, New York. The passport application reveals a fascinating new twist. 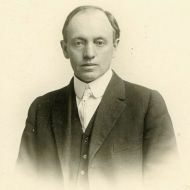 Spalding was born with the name Bayard Spaulding, and the adoption of the nom de plume Baird T Spalding occurred decades later. 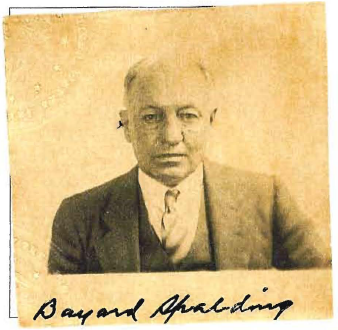 As regular readers are aware, my research into the fascinating story of Baird T Spalding has been delayed for several months while the Department of State searched their archives for his 1935 passport application. The wait came to an end today, with the release of Spalding’s passport records, including an affidavit of his birth. The revelations include an alternate spelling of Spalding’s name and confirm much of the research posted here on the blog, including Spalding’s date of birth in 1872. Indeed, the passport records turned out to be critical for piercing the mystery of Spalding’s life. I’ll be posting more details over the next week, including for the first time an accurate account of Spalding’s full family history. Eagle eyed readers of this blog noted that an English translation of Hanh Trinh Ve Phuong Dong appeared on Amazon.com last month. Hanh Trinh Ve Phuong Dong is an obscure 1970’s Vietnamese book which purports to be a previously unpublished record of a trip Baird T Spalding took to India. The pseudonymous author Nguyên Phong claims to have found a Spalding book titled Journey to the East in a San Diego library during the 1970’s and published Hanh Trinh Ve Phuong Dong as a Vietnamese translation. Prior to the 1980’s, there was a large number of unauthorized translations of English works in Vietnam, and Nguyên Phong is listed as translator of works by Lobsang Rampa, Myodo Satomi and Mika Waltari. October 2nd marks the 137th anniversary of Baird T Spalding’s birth in Cohocton, New York in 1872, and the start of Spalding’s long, strange journey. 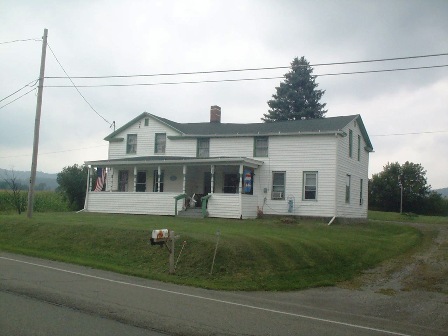 The family house that Baird was born in still stands in North Cohocton, and the town historian was kind enough to send me a photograph of how it looks today. 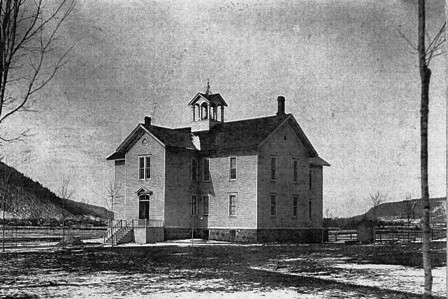 The area school was the North Cohocton-Atlanta Union School. Although there are no surviving records, it is likely that this is the school Baird attended as a youth. Hanh Trinh Ve Phuong Dong – A Vietnamese prelude to Spalding’s Life and Teachings? A recent comment on the blog by commenter Jean Luc highlighted that there is a Vietnamese book that claims to be a previously unknown prelude to Spalding’s Life and Teaching of the Masters of the Far East. Hanh Trinh Ve Phuong Dong is listed in Google Books, and can be found in libraries via Worldcat. Jean Luc reports it was translated in Vietnamese in 1975 from a 1924 Indian book titled Journey to the East. The first publication date shown online is 1987, with Spalding listed as author and Nguyên Phong as the translator into Vietnamese. According to Google Books, Nguyên Phong has translated similar books in the mystic and occult genre, including works by Lobsang Rampa, Myodo Satomi and Mika Waltari.